Are You Paying for Database Access to Safety Data Sheets? 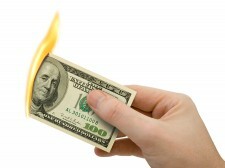 Unless you have money to burn, the free online Msds binder at MsdsDigital.com is just what you need. Paid services offer very little that this free service does not. Why not give it a try and see how 7000 registered users are saving money on SDS management and deployment. New York, NY, March 28, 2017	(Newswire.com) - It’s extremely important that companies comply with OSHA’s Hazard Communication Standard. Failure to do this and you, the employer, will be held accountable if any problems occur due to the misuse of chemicals in the workplace. As a result, many small businesses are now seeking for easy ways to comply with OSHA standards. It’s a tricky task, as laws passed in June 2016 now require employers to do a lot more work. Employers now have to provide safety data sheets when any chemicals are used, as well as explaining the dangers to employees and how they should handle the chemicals properly. Before, their chemical suppliers/distributors had to do this. Now, companies have to go looking for the relevant safety data sheets. Consequently, there are lots of services online that help provide employers with all the safety info they need. Typically, these services are databases where you search for the safety data sheets you need and keep them all collected together and organized. Most of the time, these services are paid. What’s more, they’re not cheap, they can start from around $2000. That’s right, there are companies out there charging $2000 for a database/search service. But, at MsdsDigital, more or less the same service is offered for free. Small businesses can create accounts and register on MsdsDigital.com to get a free online Msds binder and access to a database. This database contains over 150,000 safety data sheets for companies to search for and add to their binder. You look for the necessary sheets, add them to your binder, and can do whatever you want with them. Essentially, this binder allows you to create a personalized MSDS database for your business. You can print out as many copies of the sheets as you like, to place around the workplace. You can download them to your devices as well. Additionally, you can send people a link to your online binder where they can look at all your sheets and print/download them to their device without needing to register. Paid services offer very little that this free service does not. Some may argue that paid services have a bigger catalog of SDS documents. However, the MsdsDigital database continues to grow as companies can upload any safety data sheets they might already have that aren’t present in the database. Likewise, requests can be made for missing Msds sheets, and MsdsDigital will find them for you. Companies will never have to pay for this service, it’s all made possible thanks to advertising revenue and user involvement. All of the most common and popular safety data sheets are in the database already, and others get added all the time thanks to participation from a network of over 7,000 registered users. MsdsDigital understands the need for companies to comply with OSHA standards, and believe you shouldn’t have to pay over $2000 for a service that can be provided for free. Save money, register on MsdsDigital.com and start creating your own personal binder full of safety data sheets.